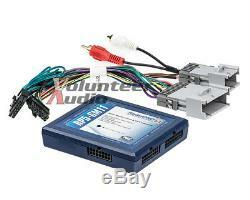 AFTERMARKET RADIO INSTALLATION WIRING HARNESS INTERFACE. Retains OnStar when the factory radio is replaced. Retains Factory Bluetooth (2009+ model vehicles). Retains rear seat audio controls. Retains all warning chimes (chime module included). Retains factory BOSE audio systems. Retains factory premium BOSE audio (does not support fading). Built in pre-programmed SWC retention. Chime volume adjustment (factory buttons). Retained accessory power output R. VSS (Vehicle Speed Sense) output. Retains OnStar Turn-By-Turn voice prompts. 2000 - 2005 Monte Carlo. 2004 - 2008 Grand Prix. Volunteer Audio has been a family owned and operated, car-audio-installation and retail business since 2001. 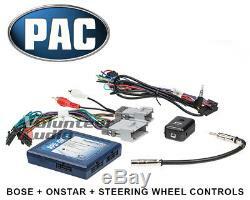 The item "PAC RP5-GM11 for 2000-2006 Select GM Vehicle Radio Installation Wiring Interface" is in sale since Monday, December 29, 2014. This item is in the category "eBay Motors\Parts & Accessories\Car & Truck Parts\Interior\Dash Parts". The seller is "volaudio" and is located in Oliver Springs, Tennessee. This item can be shipped worldwide.